MD Blueshift IsoCyte Dl Microplate Reader ImageXpress Velos Laser Cytometry . New Life Scientific, Inc. This ImageExpress Velos cytometer is in great cosmetic condition with very minor signs of wear on the body. 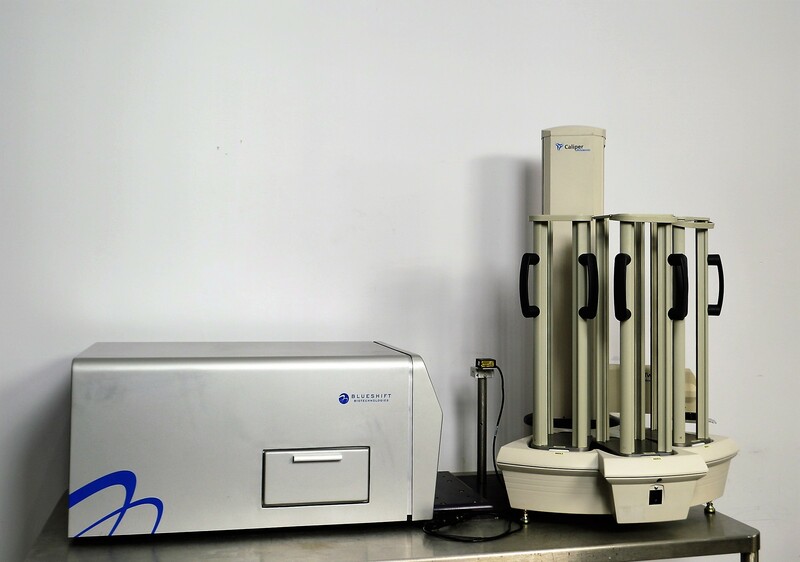 The Caliper Twister is in great condition and includes three tall stacks to organize and move your microplates to and from the the cytometer. The technician powered on and allowed the system to perform self-checks, initializing the mechanical portions of the instrument. No additional testing was performed on the system but the technician is confident this is a functional system that only requires software. The manufacturer provides product sales and support to customers only and we were unable to source it. 18.5 x 29 x 15"